This season seems to have taken longer than most to get settled an into a routine. For one I have quit my job rather than secure extended time off, a new place to stay in cham, sharing accommodation, friends and family to stay and lots and lots of snow (lots of shovelling snow!!). Its taken a while to get internet access and many thanks to a friend for helping out. So what we been up to? Christmas day saw Michelle and myself out on Brevent ripping it up in the ENSA and Bellachat lines on perfect snow. On my birthday I was up the Midi on my own and it provided one of those inspiring runs that you savour for along time, down the Cosmiques and then the Bossons Glacier to tunnel then onto Cham. Velvet pow, stunning scenary, warm afternoon light and a small sense of adventure we all love and crave. 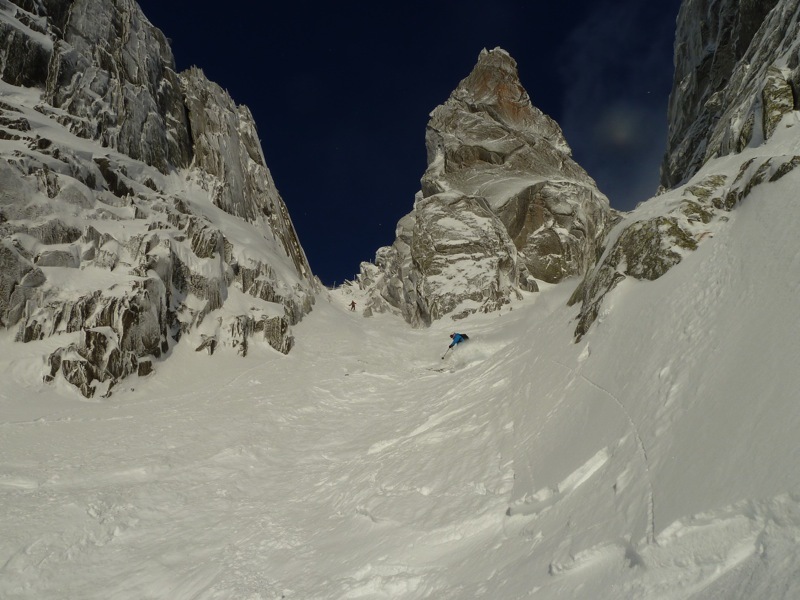 Then on a wild day on Grands Montets, the skies suddenly cleared in the afternoon and it enabled a run down the Poubelle with visiting skiers Mel Cash and Courcheval local Si Christie, once again in sweet late afternoon light arriving in Cham just as it got dark. Keep it going Ross. Looking forward to some vicarious climbing adventures!